XLS Medical Fat Binder is the current darling of the media with regular prime time TV appearances in the UK. With a few high profile ‘celebrity’ weight loss stories in the form of singer Mica Paris and funny girl Helen Leaderer XLS is no stranger to publicity. 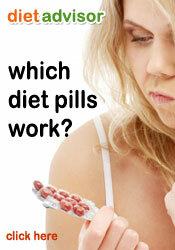 Often confused with XLS Calorie Reducer – a similar but completely different product. 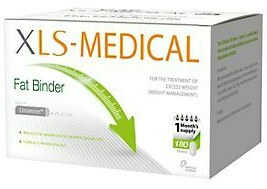 XLS Medical Fat Binder is made of Litramine a plant extract and is gentle on the digestive system. The main function of this dietary supplement is to control and restrict the assimilation of dietary fat in body which induces extra weight in body. 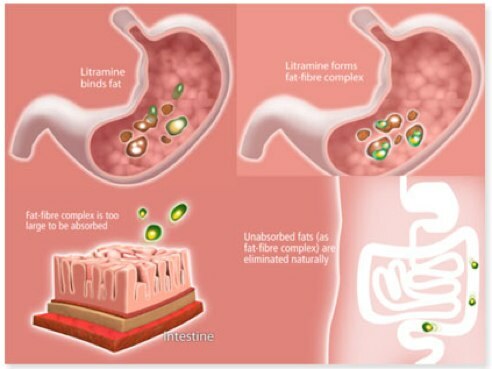 Its complex organic structure reacts with the unwanted fat in food and form a large sticky fat-fiber combo which is too large to go through the thin and delicate walls of small intestine. The extracted components thus get eliminated from the body with normal bowel movement. Besides fat control, this product keeps surveillance of hunger frequency and thus cut off further calorie intake. Regular intake of this weight loss supplement control cholesterol and blood sugar levels and thus keeps the sugar cravings away. Intake of this product works in manifold ways for keeping body weight in control. It helps in natural bowel movements and thus keeps digestive system free of toxins. XLS medical fat binder applies circulation technology to promote an orderly release of Litramine and then fat-soluble vitamins from body. With regular exercise and recommended food intake regular intake of XLS-Medical will help its consumers in 3-times faster weight loss than normal dieting formulae. 2-3 tablets daily with lots of water, after each main meal. Users can only take 6 tablets per day. Those who have BMI index below to 18.5 should refrain from availing XLS Medical weight loss formula. This product is available for purchase from official website and through many third party stockists and outlets. Boots the chemist on the high street is arguably the best option. The product is extensively marketed and a favorable review has been published in the popular for weight management solutions journal Obesity, which is the official journal of The Obesity Society published by Wiley-Blackwell. Following these results of clinical trials, reports, reviews, and user feedbacks one can assume that this product is definitely worth a try for those who are serious about losing weight. We wouldnt prevent a purchase but there are alternative products that do they same thing but basically better and cheaper. 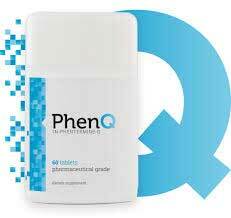 Carrying on from the above comment – PhenQ is arguably the best example of a commercial fat blocking diet pill.